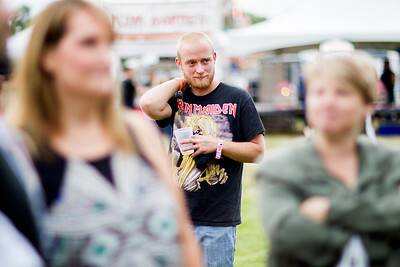 Sarah Nader - snader@shawmedia.com Daniel Singer of Wonder Lake listens to a band play during opening day of Fiesta Days at Petersen Park in McHenry on Friday, July 15, 2016. 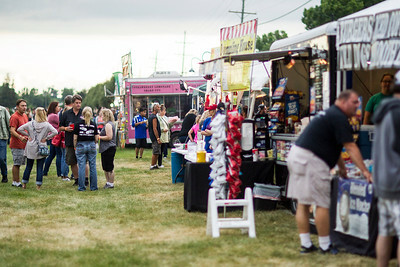 The annual event runs through July 24 and features a carnival, live music, car show, arts and crafts, children's events, food and fireworks. 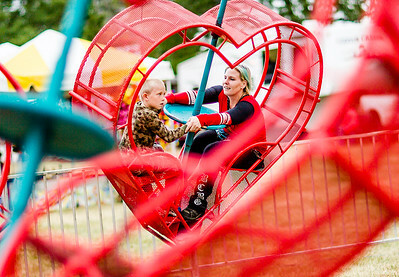 Sarah Nader - snader@shawmedia.com Enyn Bloom (left), 7, of Wonder Lake and his mother, Angela Bloom, ride a carnival ride during opening day of Fiesta Days at Petersen Park in McHenry on Friday, July 15, 2016. The annual event runs through July 24 and features a carnival, live music, car show, arts and crafts, children's events, food and fireworks. 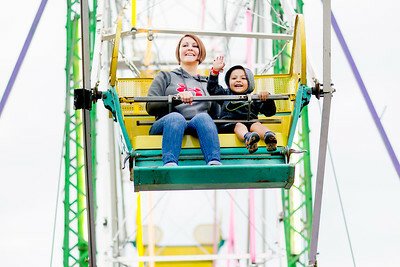 Sarah Nader - snader@shawmedia.com Stephanie Rivera (left) of Wonder Lake and her son, Joakim Carbajal, 3, of Wonder Lake ride the ferris wheel during opening day of Fiesta Days at Petersen Park in McHenry on Friday, July 15, 2016. The annual event runs through July 24 and features a carnival, live music, car show, arts and crafts, children's events, food and fireworks. Sarah Nader - snader@shawmedia.com The park is filled with people during opening day of Fiesta Days at Petersen Park in McHenry on Friday, July 15, 2016. The annual event runs through July 19 and features a carnival, live music, car show, arts and crafts, children's events, food and fireworks.